​Low-Cost Ownership - A newly constructed Four Seasons Contractors Home gives you the freedom to spend your time and money the way you want. There are no repairs or renovations. Enjoy your home. Relax and unwind. Quality Construction - Modern construction means less homeowner headaches. Advanced materials, new technology and a one year warranty ensure a safer, more secure and worry free home. Designed for Living - Enjoy open floor plans, larger kitchens, and more closet space. 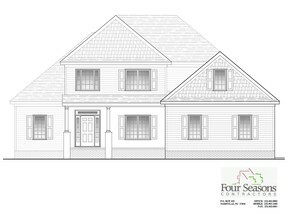 A new Four Seasons Contractors home allows you to personalize your dream home, not fix-up someone else's. Energy Efficiency - Four Seasons Contractors offers energy efficient construction and design. This equals lower monthly bills offering an immediate savings.